X3watch Quick Reference Guide – UPDATED! X3watch is pleased to announce that we have updated our Quick Reference Guide for X3watch software. If you are new to X3watch – or just want a refresher on the basics, download this helpful guide today. 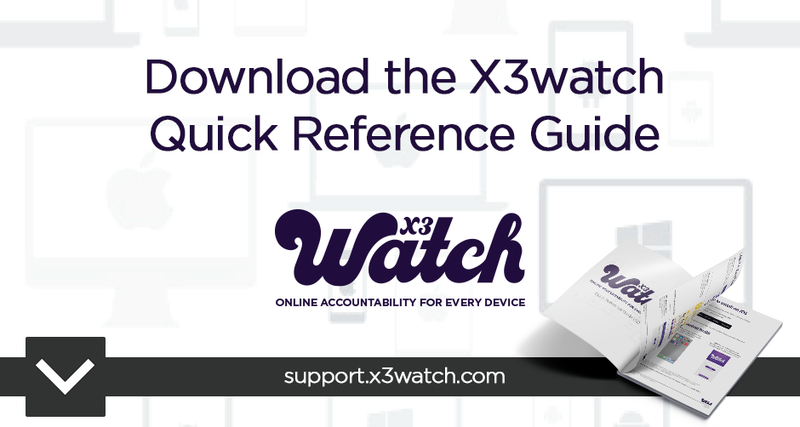 The new guide contains information about downloading and installing the program, adding accountability partners, updating your website blocking settings, managing your account and includes many FAQ’s that explain how X3watch works on all supported devices. X3watch support recommends this guide for all users of X3watch.